There was once a time where computer systems security meant making sure that you locked the door before you left your office. Alas, those times faded a decade ago, and the home computer’s rise to the status of essential home appliance has been associated with a seemingly endless spiral of security threats and security apps aimed at thwarting those threats. 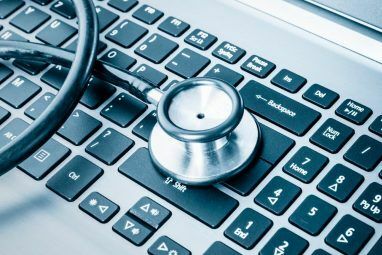 This can lead to misunderstandings that may leave your computer vulnerable to certain security flaws. Let’s discuss some common security issues that antivirus programs normally don’t guard against and what you can do to shore up your defenses. Actual physical theft remains a series security issue that isn’t uncommon among laptop users who frequently use their laptops outside the home. Laptop thieves usually steal a laptop to sell the laptop later, not as a means of obtaining private data, but that doesn’t mean that your security won’t be compromised. Don’t be fooled by your password protected Windows login screen, either – this won’t stop a determined attacker. If you’re worried about the possibility of laptop theft you should look into services that let you track, disable or wipe your laptop if it is stolen. LAlarm LAlarm Laptop Makes Your Laptop Scream When Stolen LAlarm Laptop Makes Your Laptop Scream When Stolen Read More is a free program that can handle some of these tasks, but more serious protection, such as Lo-Jack for Laptops, will require that you part ways with some cash. We have covered a lot of apps and services that can help you locate your stolen laptop. Check out Prey Track Down and Recover Your Stolen Laptop With Prey Track Down and Recover Your Stolen Laptop With Prey Read More , and if you have a Mac, JackSMS. Computer security companies are constantly attempting to attract new customers and boost revenues by offering new products. This has the side effect of confusing customers. What’s the difference between Norton Antivirus, Norton Internet Security, and Norton 360? You’ll have to do some digging to fully understand all of the ins and outs. Some people simply opt for the Antivirus. It has the lowest price, and it says it protects against viruses – that’s all you need, right? Well, not so fast. Firewall software is also very important. 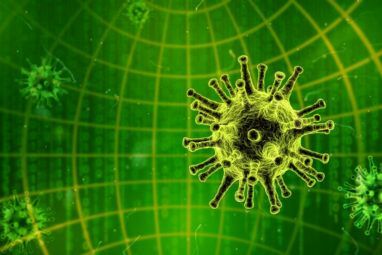 Antivirus can detect suspicious files and quarantine them, but it doesn’t do anything against attackers who are trying to gain access to your computer from outside your local network. Hackers sometimes use these attacks to create a “botnet” – a series of zombie computers that are being manipulated by someone other than their owners. These computers are then used for sketchy activities like spam campaigns or DoS attacks How Can a DoS Attack Take Down Twitter? [Technology Explained] How Can a DoS Attack Take Down Twitter? [Technology Explained] Read More . The good news is that there are some solid free firewalls available The Three Best Free Firewalls for Windows The Three Best Free Firewalls for Windows Read More . If you already have an antivirus solution these programs will help complete your computer’s security. Although currently uncommon, there has been a few recent examples of computer security attacks that did not focus on computers themselves but instead peripheral devices. These attacks are becoming possible because the devices that are being connected to computers today – including keyboards, mice, and hard drives – are often mini-computers with their own memory and processing capabilities. The most famous vulnerability of this type was the Apple keyboard security hole unveiled at the 2009 Black Hat conference. A clever hacker there proved that it was possible to install a keylogger on the keyboard itself. The hacker did not prove that the data could be transmitted remotely, but it did set off alarm bells in the heads of many security experts because there is currently no defense against this type of attack and detection is difficult. Smartphones are becoming a major concern. They often connect with computers to transfer data and personal information. 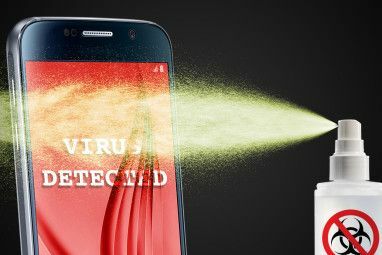 New security flaws are being found in smartphones constantly, but the response to these problems by security companies is still in its infancy. As such, there isn’t much you can do besides exercise common sense and keep your phone away from your PC if your suspect the phone has fallen victim to a security flaw. A phishing attack occurs when you are led to what appears to be a familiar website and you attempt to log in. The website, however, is actually a clever fraud that steals your username and password and sends it to an unknown party who may use that data to do harm. These attacks are fairly hard to see coming in the first place, and they’re becoming more sophisticated and harder to detect as time goes on. Antivirus programs do not protect against this threat because it is not really a virus at all. The more complete Internet Security products offered by most companies usually include some form of anti-phishing protection, but you’ll have to hand over some cash for it. There are, however, some ways to protect yourself from phishing threats without paying for an expensive security suite. Building your knowledge about phishing tactics is the best way to defend against this threat without paying a dime. The free SonicWALL phishing test teaches you how to identify phishing threats. Alternatively you can try using one of several websites that let you input a link to determine if it is legitimate 5 Quick Sites That Let You Check if Links Are Safe 5 Quick Sites That Let You Check if Links Are Safe When you receive a link, you should check to make sure it's not a source of malware or a front for phishing—and these links checkers can help. Read More . Antivirus apps are only the first step in computer systems security. While many threats will be stopped by a solid antivirus program, not all threats fall within their jurisdiction. The knowledge here should help you secure your computer from other threats. If you know of any non-virus threats that are not listed here please leave a comment. When purchasing anti-virus software I would make sure that you know what features your internet security product has. This prevents you from assuming you have a certain kind of protect that you do not. Thanks for not only listing the methods of attacks but some good tips to secure yourself from them. Use TrueCrypt to encrypt your hard drive for theft protection. Great post Matt. IMHO, security threat from compromised mobile phones is the new battle front. We tend to install unsigned apps in a jiffy and may just regret it if one of them turns into an attacker. An indispensable blog post. Just as Muhammad said, very interesting and useful. Thanks Matt!! Very interesting article , Thanks !